These days it seems that the difference between fact and fiction are getting increasingly blurred. Where the propensity to create one’s own alternate facts takes precedence over the search for knowledge, all that is left is mere evangelization. One distinguishing characteristic of the civilization founded on Sanatana Dharma was that it was far more committed to the pursuit of knowledge and much less to the propagation of ignorance. Dharma Civilization Foundation (DCF) is focused on “Promoting the understanding of India’s civilization, traditions and culture through education”. 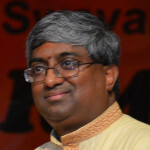 Indeed, where there is an insufficient understanding, there is great potential for misunderstanding, as exemplified in the domain of the academic study of Hindu Dharma, where partial knowledge, erroneous conclusion and willful mis-representation have created numerous distortions that get passed on as “authoritative truth”. The authority of academic views is upheld through a uniquely academic evangelical process i.e. the endless repetition and citation of each other’s “Durvichara Siddhi” i.e. erroneous conclusions, while actively campaigning to exclude alternate views, (in the name of defending academic freedom) as we experienced in the UCI episode. I have often wondered, why Hindu Dharma survived over a thousand years of invasion, conversion and colonization. Even though in a debilitated form, its very survival is a miracle i.e. the odds were overwhelmingly against it. The ascent and spread of Christianity and Islam around the world, indeed their conquest of the world, has one central characteristic i.e. they both claim to have found the Truth directly from God, through their prophet, which thereby renders all other Religions and Traditions, either false or obsolete. All of Egypt, Persia, Mesopotamia, Europe, Greece and Rome, and the Americas and Africa could not withstand the evangelical onslaught of Christianity and Islam, and the various indigenous traditions that existed before have either become entirely extinct or greatly incapacitated as living traditions. Why did this fate not befall Hindu Dharma? What is it about Sanatana Dharma that enabled its survival, even if greatly attenuated and damaged? Click Here to read more on these questions. Despite facing insurmountable odds over the last several centuries, the Hindu people have been somehow able to sustain the Hindu civilization. But we cannot take its survival and sustenance for granted. It is incumbent upon us as well as our future generations to continually build the institutional foundations that will continue to sustain and nourish Sanatana Dharma. The World Hindu Congress – 2018, is one such institution that seeks to rise to this call. I extend an invitation to each one of you, to make it to Chicago between September 7 through 9, 2018. Click Here to Learn more and Register Your presence there will both enrich the conference and will nourish you as a Hindu.